Brooklyn dance party/radio show/musical group House of Feelings (led by Matty Fasano and Joe Fassler), just released a new single titled, “Falling,” which features Shamir on guest vocals. The track is taken off the group’s upcoming Last Chance EP, which comes out August 11, and you can pre-order it here. Shamir, interestingly, called the glitzy, dance-ready single his “one last disco song.” (His surprise-released LP from earlier this year was more guitar-based.) Stream that song, plus two others from the EP (which also features Meredith Graves and GABI), below. 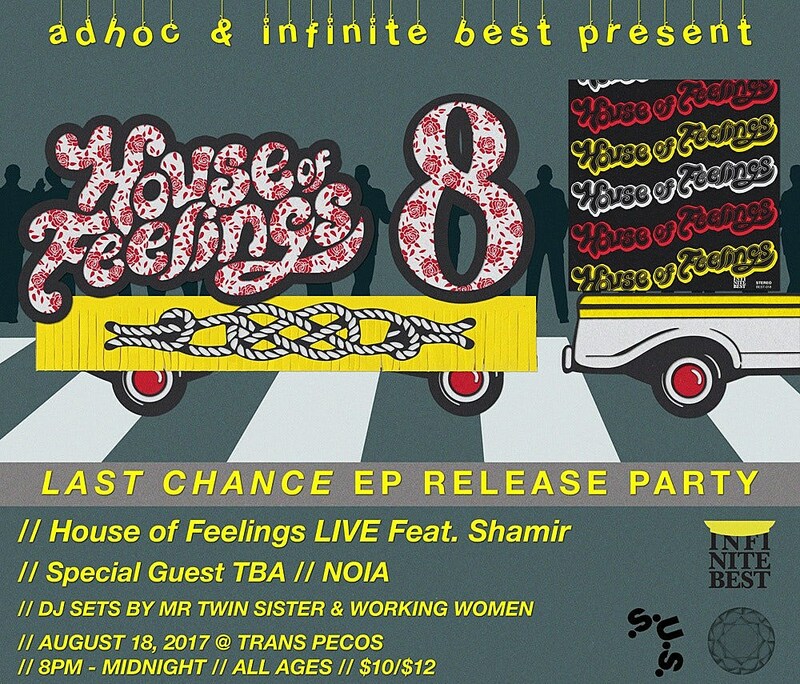 Shamir will also play with House of Feelings at the next HOF party (a release party for the new EP), which happens August 18 at Trans-Pecos, which is with NOIA and “special guest TBA,” plus DJ sets from Mr. Twin Sister and Working Woman. Tickets are on sale and the flyer for that show is below.